Today’s card is being featured on Stylin’ Stampin’ Inkspiration. 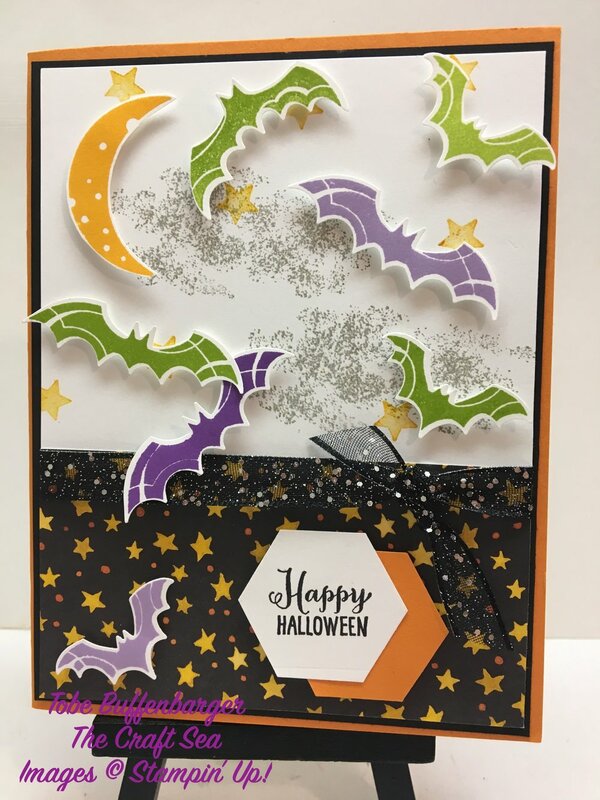 The challenge was to create a card using our favorite Holiday Catalog Bundle. Usually I gravitate toward the Christmas bundles and stamps sets. While that is true this year, I also found myself coming back to the Spooky Sweets Bundle over and over. I love the simple bat and moon images. And I always love a coordinating punch! I just had to pick up this bundle to play with this season.